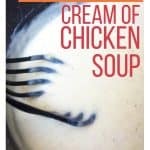 Homemade cream of chicken soup is quick and easy to make, and it tastes way better than what you get in a can! Perfect for using in your favorite recipes! 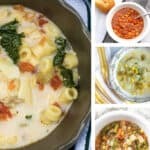 Condensed soups are often an ingredient in favorite holiday dishes or in our favorite traditional comfort foods and casseroles. But quite honestly, while I like the dishes that include “cream of” soups, the soups themselves are not that appealing to me. Not only are they high in sodium, but I also don’t like the small tidbits and chunks of food in them. There have been many times when I’ve been making a baked dip for an appetizer that required a can of condensed soup, but I’ve had to sift through and try to pick out the little pieces of chicken or mushrooms or celery, simply because they didn’t go well with the texture of the dip (I mean, who needs chicken pieces in their spinach dip?). 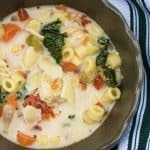 Over the years, I’ve tried to stop using the cans of soup as much as possible, but that often meant I wasn’t making some of my favorite dishes anymore. 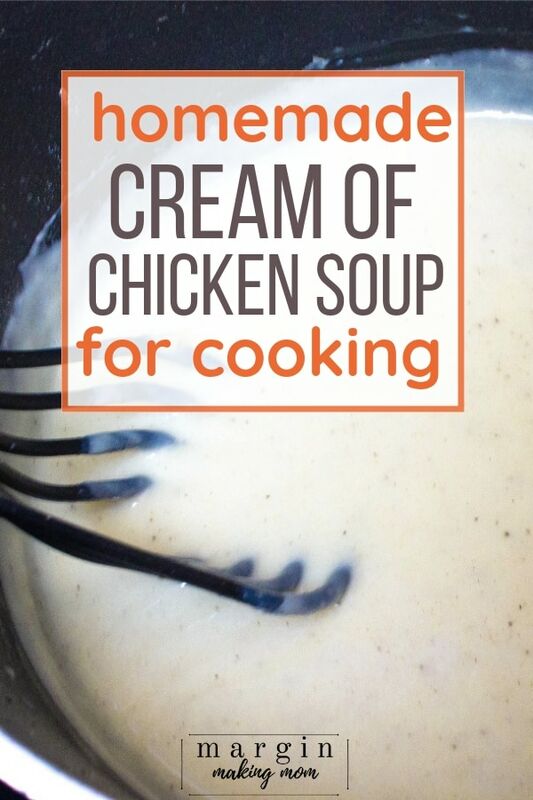 That is, until I discovered just how easy it is to make my own homemade cream of chicken soup! Seriously, it is so incredibly simple and only takes a few minutes. Not only that, but the flavor profile of this homemade version is so much better than what you get in a can. 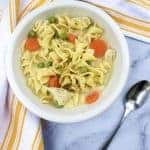 This is a great homemade cream of chicken soup, full of flavor and easily integrated into your traditional, family-favorite recipes. 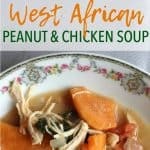 It could also be served as a standalone soup, simply by adding some veggies, noodles, or rice. 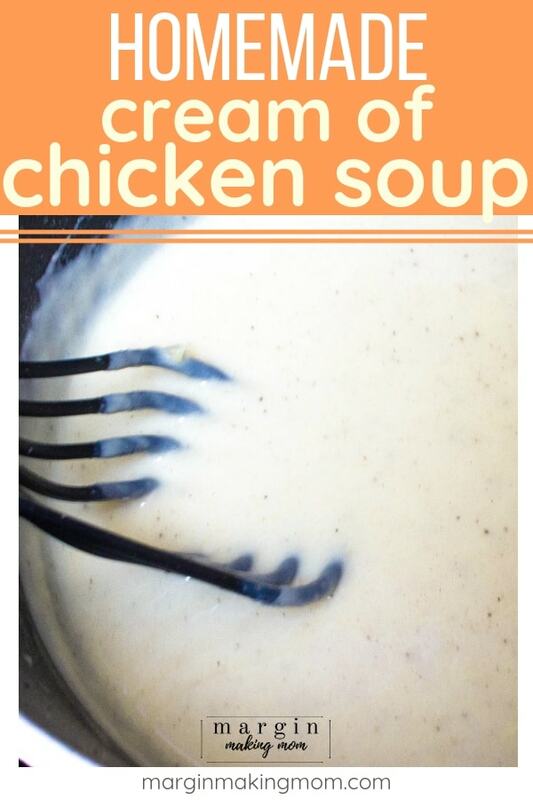 I love that this homemade cream of chicken soup only requires a handful of basic ingredients. It’s ridiculously easy to make, so it doesn’t add a lot of time and effort to your meal prep. To start, melt some butter in a saucepan. Once it’s melted, whisk in some flour, creating a simple roux. Once that’s thick and pasty, add in some broth and milk, continuing to whisk until everything is combined. Last, stir in the seasonings and let it simmer for a couple of minutes as it thickens a bit. And that’s it! So, so easy. I purposely don’t include any chunks of anything in my version. However, you are more than welcome to add some pieces of chicken, celery, or mushrooms if you prefer. I use chicken broth, but if you desire a vegan option, you can certainly substitute vegetable broth. You can whisk and simmer until your desired thickness is reached. 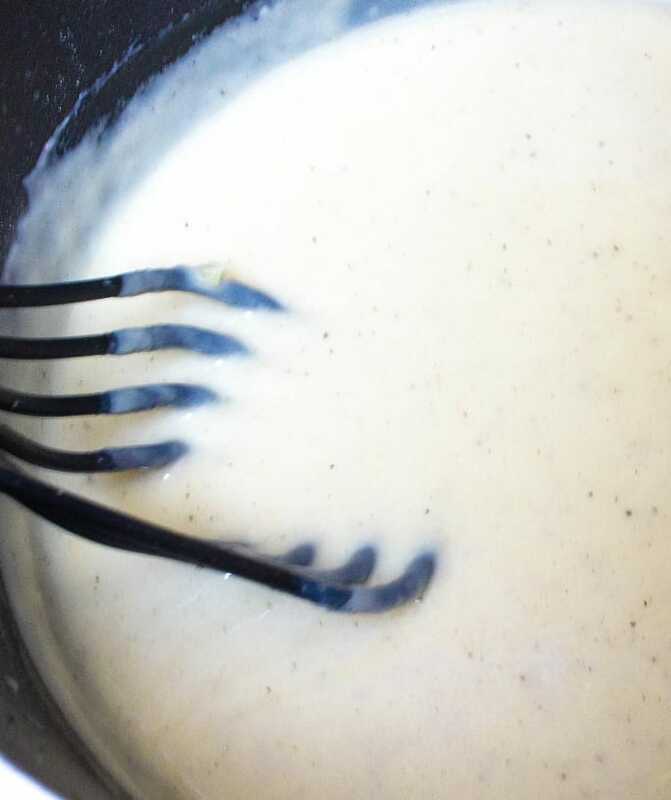 I generally only simmer mine for a few minutes, because it really doesn’t take long to get it nice and creamy. This makes about two cups of cream of chicken soup, which is pretty close to what you’d get if you mixed a can of water with a can of soup. 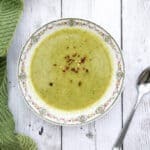 If your recipe calls for an undiluted can of soup (so just the condensed soup without the water), you can either simmer the soup longer so that it thickens up a bit more, or decrease the amount of this homemade version that you add to your recipe. You can make a double batch of this and freeze some for later, that way you’ll have it on hand when you need it. Once butter is melted, whisk in the flour until a paste forms. Slowly pour in broth and milk, whisking the entire time, until smooth. Add salt, garlic powder, onion powder, paprika, and black pepper and whisk to combine. Reduce heat to medium and simmer, continuing to whisk constantly, a few minutes until mixture thickens. 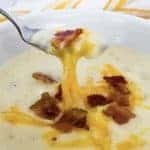 Serve as desired or incorporate into your favorite recipe in place of canned "cream of" soups.